Rexburg Farmer's Market | Eat Local. Eat Fresh. Calling all K-12 age artists! 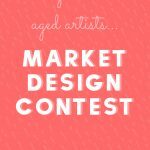 Enter our art contest — click to find out more. Meet the vendors who sell amazing items at our market. Get directions to the market & find the best parking locations. They make EBT tokens go just a little further with Double Up Food Bucks match program. Learn how EBT works at the Rexburg Farmers Market. It's easy, but there are a few steps to follow.